In order to keep pace with the never ending demands of customers, we are involved into manufacturing, supplying, wholesaling and trading a wide range of Water Leakage Detection System. Offered product is available at pocket friendly price. 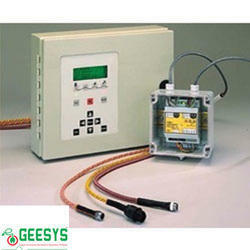 We are affianced in offering wide assortment of Water Leakage Detection System. Water leak detection has become high up on the list of priorities for many companies and Industries. The water leak detector cable itself is the sensor. Every centimeter of rugged, fire rated cable is sensitive to water and when water comes into contact with the cable, even a few milliliters, the system is able to detect the leak AND report the location. The detection cable can be installed in any length from a few meters in a drip tray to hundreds of metres around the perimeter of an office area. Typical applications in office buildings include the monitoring of fan-coil units around the edge of the building office floors, detectors surrounding the central utility core on each floor of the building and dedicated monitoring of leaks in electrical switch I gear rooms, selr moms, network communications, etc.